Entertainment Weekly recently named OOTL as one of the "best podcasts of the week," and H. Alan appeared on Jimmy Kimmel Live to show Betty White (!!!!) his awesome Golden Girls fan tattoo. The podcast has also been featured on Fusion. Subscribe to "Out on the Lanai" on iTUNES, TUMBLR, FACEBOOK, and TWITTER. 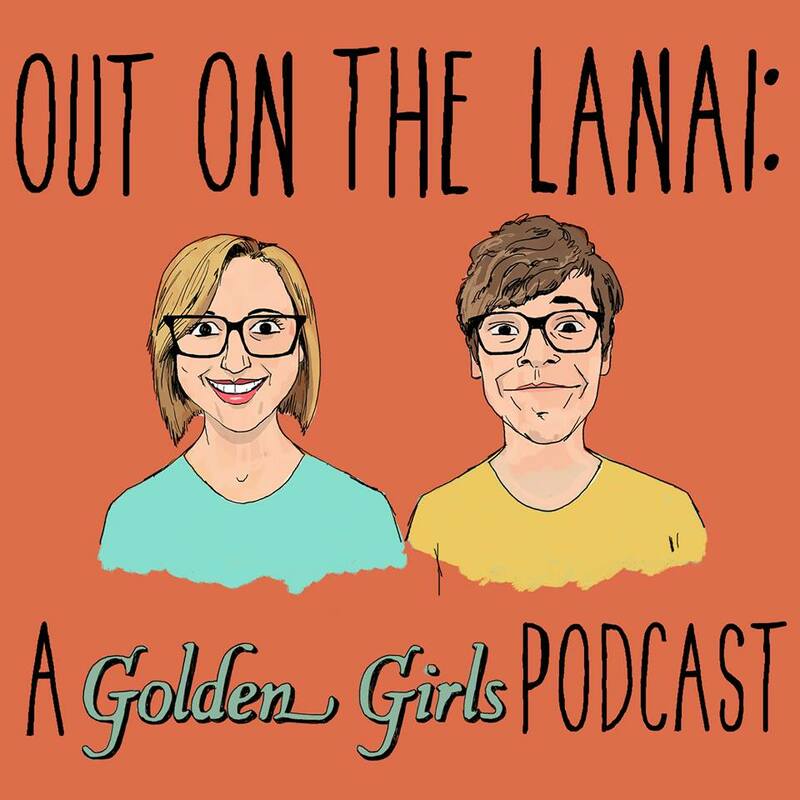 "Out on the Lanai" is a podcast dedicated to the innovative '80s sitcom, The Golden Girls. Each week, hosts and GG superfans H. Alan Scott and Kerri Doherty invite a guest over to watch and dissect an episode of the show. Guests have included YouTube star Grace Helbig, actor Timothy Simons (Veep), and RuPaul's Drag Race: All Stars winner Alaska Thunderfuck. In addition to putting on sold-out live shows of the podcast in Los Angeles at the popular Nerdist Showroom, H. Alan and Kerri have released special episodes featuring interviews with former writers and cast members of The Golden Girls.